After a couple of false starts generated by a busted kneecap, the time finally arrived for Dianne's mother to visit. A primary event during this visit was the gift to Sylvia of some fabulous dental work by our longtime very dear friend Jamey. Jamey calls Sylvia her American grandma and gave her an incredible 80th birthday gift in the form of a new smile. During the visit we took the opportunity to see some Atlanta sights, including the Atlanta Botanical Garden. How it has grown and improved since we moved away from the neighborhood six years ago! 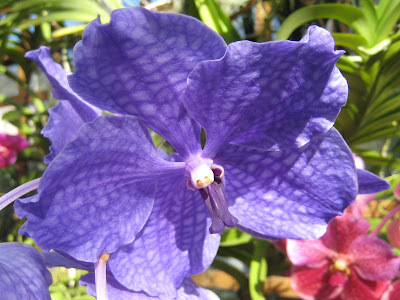 The orchid house was too gorgeous for words. Since it's so difficult to get Sylvia in the Christmas spirit (yeah right! ), we took her to the Henry Players' production of "A Christmas Story," which, of course, left all of us exclaiming repeatedly, "You'll shoot your eye out!" 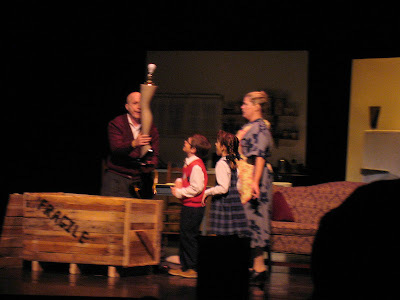 This community theater company produced an admirable show, casting a girl as Randy, who is usually the younger brother. She was excellent and stole the show! 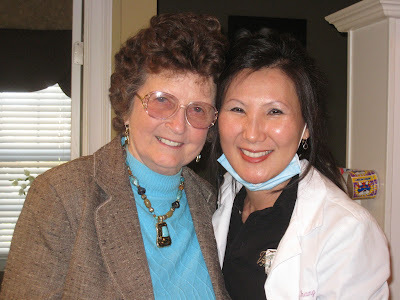 After all the dental work was completed, Dianne and Sylvia headed to Franklin, Tennessee, to visit Woodie and family. 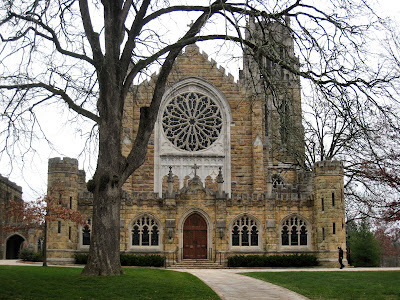 On the way, we just had to drive through the beautiful University of the South campus in Sewanee, takking this photo of All Saints Chapel just for sister Jeanne, who has fond memories of the campus from the days when son David was a student there.